You may remember how I turned our bean plant from last year’s allotment into a festive twig decoration back in December? 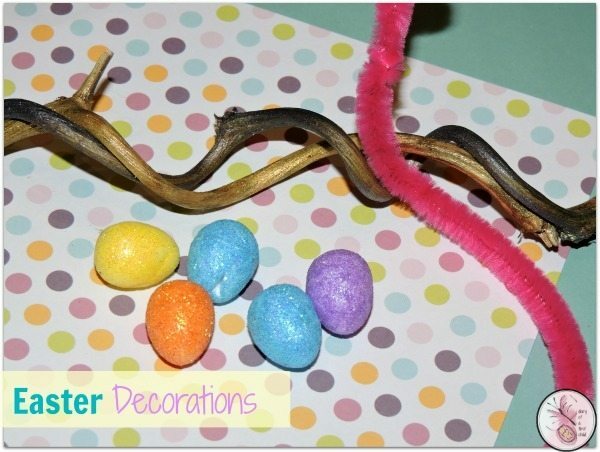 Well, when I was thinking of how to bring a bit of Easter and a bit of spring into the house and thought of my twigs nestled away for next Christmas and decided to bring them out again. 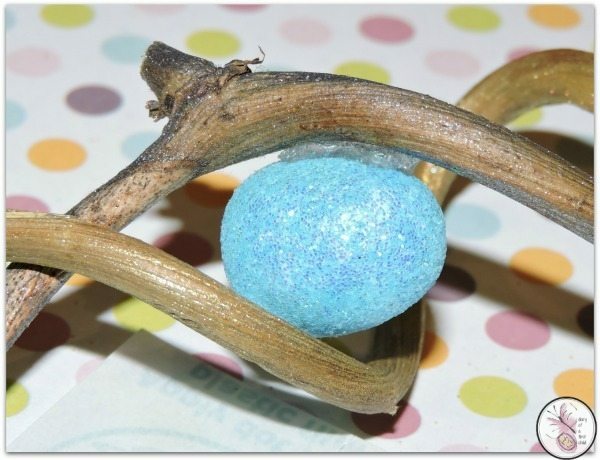 Because of the entertwining of the silver and gold twigs, I was able to wedge the eggs between them, but did also add a glue dot to hold them in place. 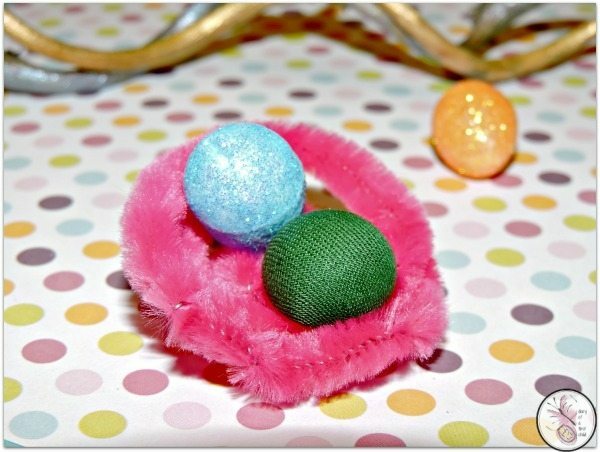 Twirl the pipe cleaner around a finger to create a next, and pop some of the eggs inside, then wedge that, with another glue dot onto the twines to create a beautiful decoration which can be popped in a vase on it’s own, or with some spring flowers, and enjoyed for the whole Easter season. We were sent a box of goodies as part of the Bostik Bloggers program.